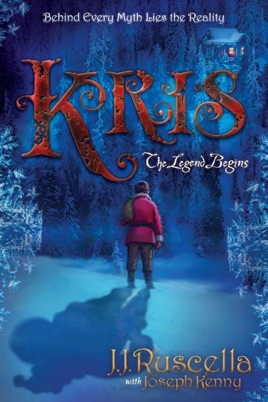 The story of Santa Clause is finally here!In this rich novel, the remarkable story of Kris restores the hero of readers' youth in the compelling tale of a man who, amidst his greatest struggles, gave to others.This compelling tale will transport readers into the mind of Kris as he grows from tragic boyhood experiences into the inspiring man who brings joy every Christmas season. The plague-ridden Norwegian countryside lays the setting for Kris's unexpected beginnings where he is forced to find homes for his seven orphaned brothers and sisters. Driven by loyalty and feelings of failure, this first delivery launches Kris through his young life in search of redemption.He becomes apprenticed to a carpenter and meets an extraordinary girl who makes him a unique red jacket. But there are reindeer to discover and a people the Norwegians refer to as elves, not to mention chimneys and cookies and stockings hung by the fire.The world has heard many stories about Santa. Here, for the first time, is Santa's story. Great story and very well written. Enjoyed it very VERY much!! !